With kids to carry around, errands to run and daily commutes putting tons of miles on your vehicle, it is important to choose a vehicle that will fit your needs, budget and also provide you with an enjoyable driving experience. There are dozens and dozens of vehicles on the market right now aimed at families. Moms and Dads are one of the most sought after demographics in the auto industry. At Eagle Ridge GM we have a lineup of vehicles that are perfect for all types of families, and we thought it would be good to give you our perspective on some of the features that set our vehicles apart from the rest. The Sonic is an awesome choice for a young family. I would highly recommend the hatchback, as it will increase the cargo capacity and flexibility. It’s super compact, so you can tuck it into any parking spot at the mall and the 4 cylinder engine will be great on gas! 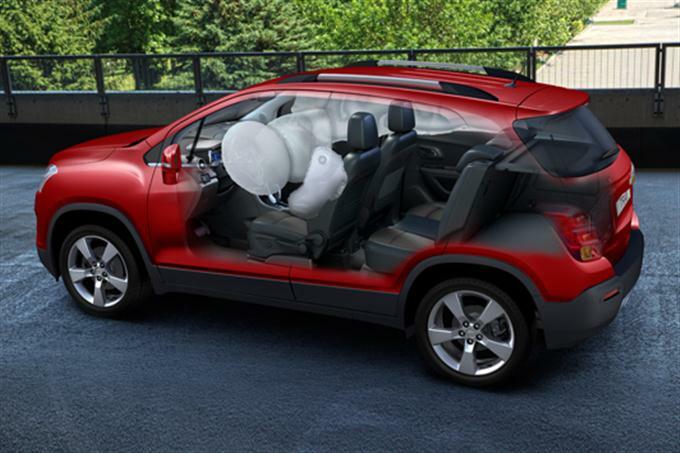 The Cruze is an excellent choice for many reasons, arguably the most important being its 10 standard airbags. The Cruze has offered this since its debut and other manufacturers are finally starting to catch up. It is a great feeling knowing that your family will be protected, regardless of where they are sitting in the car. An available turbo will also make the Cruze a lot more fun to drive than other compact offerings. The Trax and Encore share some similarities with the Cruze in that they are roughly the same length and share the 1.4L turbocharged engine. Where the Trax and Encore differ is with their ride height (you will sit up a bit higher), the availability of All Wheel Drive (great for adverse weather) and the added cargo space. If you are considering a Cruze, take a quick look at a Trax as well! For five passenger seating, its hard to beat the Equinox and Terrain. My favorite feature is probably the sliding second row seat. In addition to reclining, the second row can be moved forward or back. You can easily slide the seat back, which prevents those little feet from kick the back of your seat during a long road trip. It also means that you can slide the seat forward to accommodate some extra cargo. As someone who is well over 6 feet tall, its a feature I personally love! I love this trio of SUVs for many reasons. 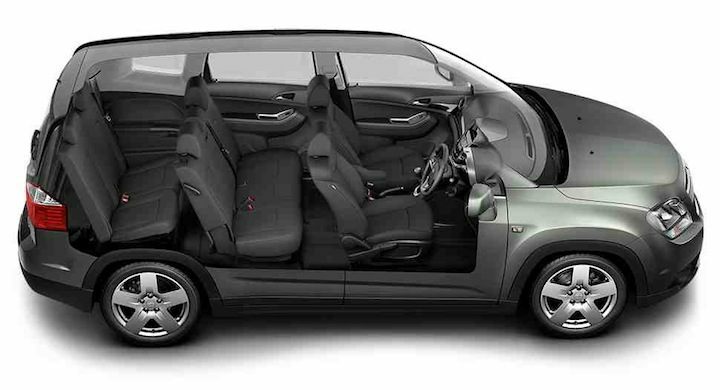 First, you can get them in 7 or 8 passenger configurations, which is rare in this segment. 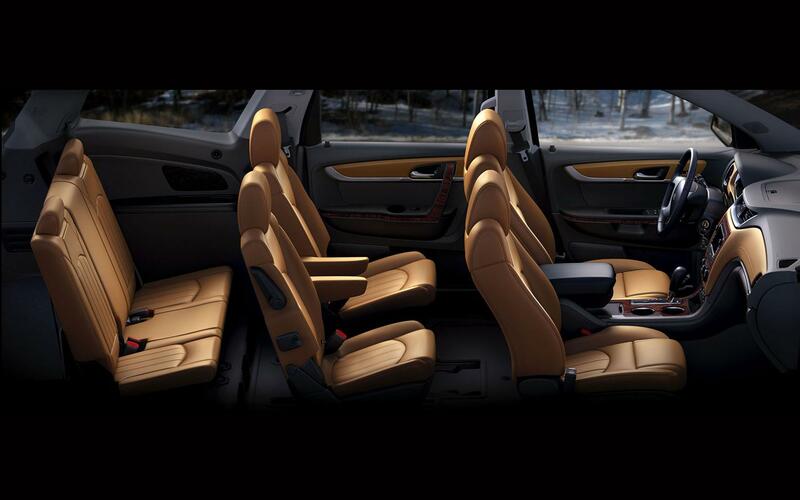 Most buyers opt for the 7 passenger seating, with second row captains chairs. The captains chairs offer a bit more comfort, while you still have a third row with seating for three more passengers. I also love the fact that these SUVs have a total of 12 cup holders. This may seem silly, but if you have ever traveled with a large group, you know how quickly cup holders disappear. The Chevrolet Orlando sometimes gets forgotten, but its an awesome option for families. The best part of the Orlando is that you get seven passenger seating in a vehicle that is not much bigger than a Cruze! If you want something more manageable in size, and that will be better on gas (the Orlando comes with a 4 cylinder engine) this is a great option. You will have a higher seating position, lots of space and no trouble finding a parking spot downtown. Normally a truck is not the first choice for a busy family, but I personally think they are a great option. 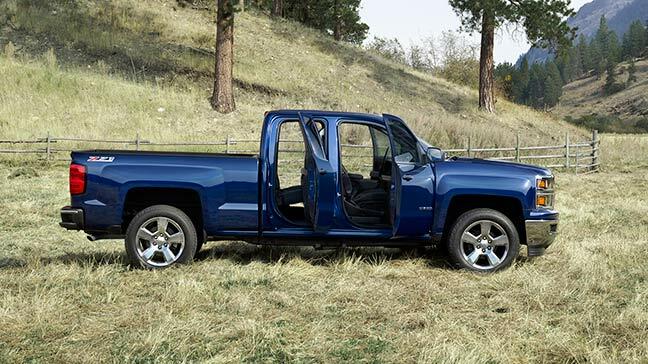 The new Silverado and Sierra both offer competitive and powerful V6 engines, making them less expensive to keep full. You will also have an easier time loading the family. An extended cab truck used to be difficult to fit a car seat inside, but with the double cab’s front hinged doors, you don’t have to open the front doors to access the rear. Or for more space, opt for the crew cab which can easily seat six occupants. The interior is the quietest in the industry, so the young ones should have no trouble falling asleep on those long trips, and improved handling makes them drive more like a car or SUV than truck! These GM models all offer advantages for an active family seeking a vehicle that can handle everything they throw at it. The vehicle you choose ultimately depends on your situation, where you will be driving, and who you will be taking with you. 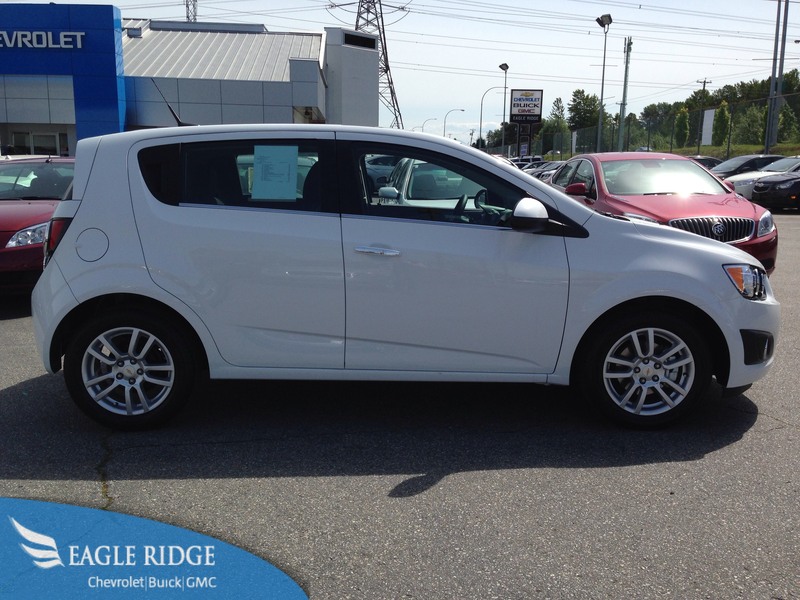 The staff at Eagle Ridge GM is ready to help you find the perfect one. Load up the family, bring the dog and come down to check out all of the awesome GM models today!